Birch Leaf Spot is a foliar leaf disease that affects Birch, Aspen and Cottonwood trees and other members of the Betulaceae family. 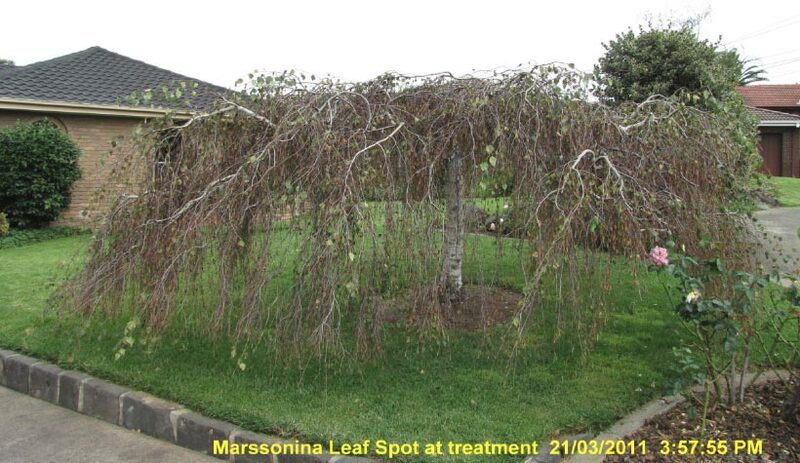 Our dual treatments control both fungal and insect pests such as Fruit Tree Borer and aphids that are common problems for birch trees in Australia, other treatments are available on request. Before: Micro injection controls both Marssonina and insect pests for two years or more. 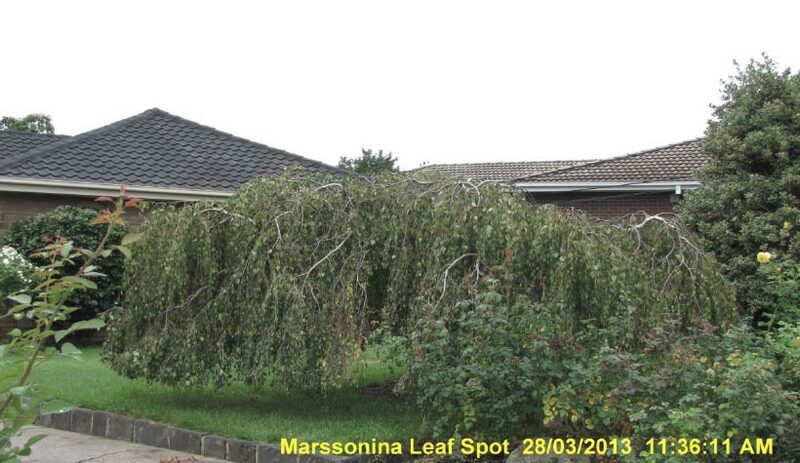 After: Effective control, note this tree had been affected for 10 years prior to treatment. 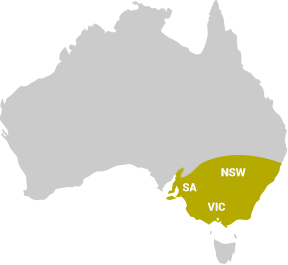 Elmsavers has over 30 years experience in horticultural and arboricultural pest and disease control. Elmsavers offers a wide range of treatment options for elm trees and other plants, including tree (or trunk) injection, canopy spraying and soil injection.